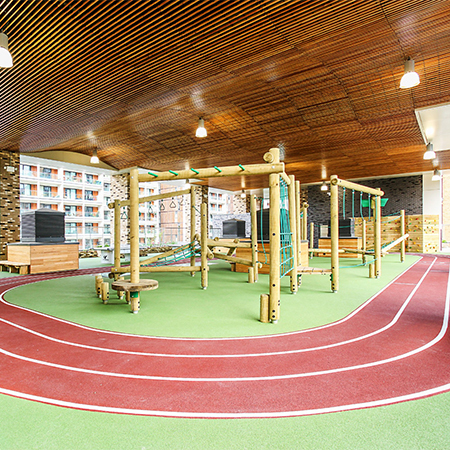 A new London school’s high-rise play area includes a striking ceiling from Hunter Douglas, a leading global manufacturer of architectural products. 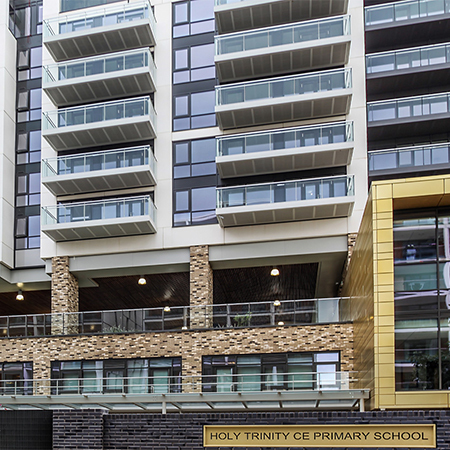 Holy Trinity Church of England Primary School in Beechwood Road, Dalston, is incorporated into a mixed use-development, occupying the first two floors of a seven-storey luxury residential complex. 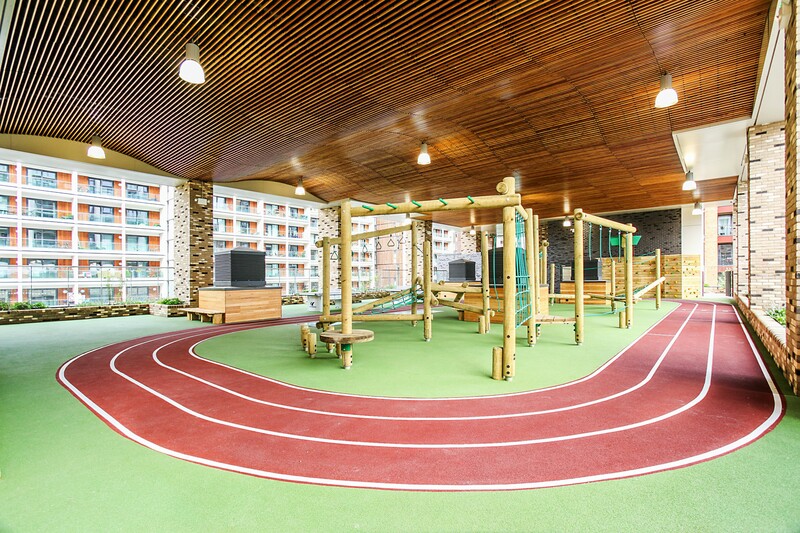 Hunter Douglas was appointed by developer Telford Homes to manufacture and oversee the installation of a bespoke ceiling on the covered multi-use games area (MUGA) and informal play area on the school roof. 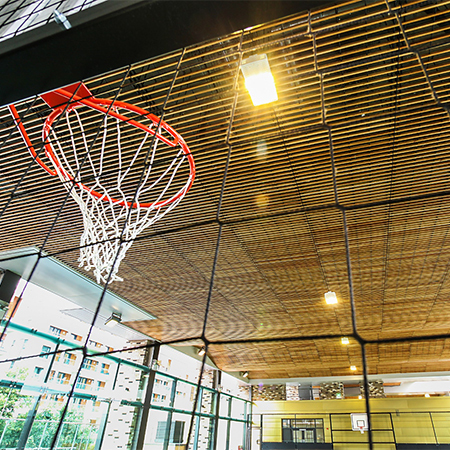 The £106,000 ceiling comprises solid timber larch grill and was completed in 4-70-20-40 module. 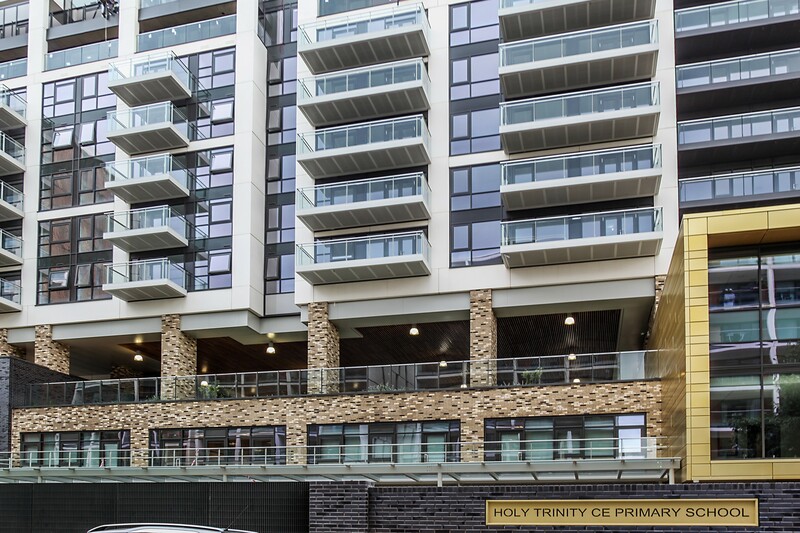 It is secured by premium quality sendzimir galvanised steel suspension rails and has a drop of hangers up to 1500mm, plus bird netting over the carrier system. 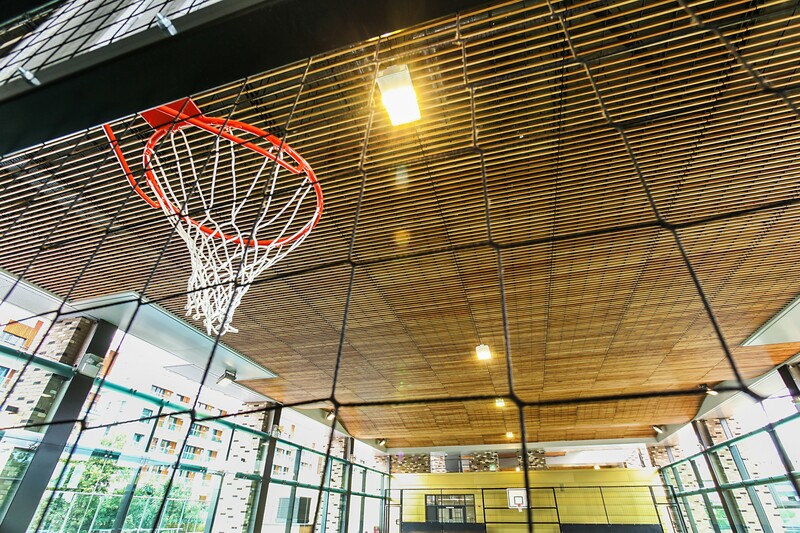 Lee Kirtland, senior technical co-ordinator at Telford Homes, said "The selection of the Hunter Douglas system has been a real success to the MUGA, creating an aesthetically striking waved soffit treatment that creates a visual break between the school and residential above". Lead architect on the project was Stockwool and the ceiling was installed by Oakwell Building Services Ltd.